Natural Health News — It was one of the gifts of the Magi – in addition to myrrh and gold they offered frankincense to the newly born baby Jesus. Since ancient times the aromatic fragrance of burning Boswellia resin has been part of many religious ceremonies and is still used as a means to indicate special festive atmosphere in the church today. But frankincense can do much more: “The resin from the trunk of Boswellia trees contains anti-inflammatory substances,” says Professor Dr Oliver Werz of the Friedrich Schiller University Jena, in Germany. Examining the curative effect of frankincense, Professor Werz and his colleagues were able to show where exactly how boswellic acids – which are responsible for the impact of the ingredients of the Boswellia resin – interfere in the process of inflammation. “Boswellic acids interact with several different proteins that are part of inflammatory reactions, but most of all with an enzyme which is responsible for the synthesis of prostaglandin E2, [these] acids block this enzyme efficiently and thereby reduce the inflammatory reaction,” he says. Prostaglandin E2 is one of the mediators of the immune response and plays a decisive role in the process of inflammation, in the development of fever and of pain. Werz says he is convinced that the active substances can be very beneficial in therapies against diseases like asthma, rheumatoid arthritis or atopic dermatitis. In addition to a new, targeted use in the treatment of inflammatory diseases, boswellic acids also have the advantage of producing fewer adverse effects than today’s prevalent anti-inflammatory treatments like diclofenac or indometacin. The impact of these common drugs is less specific, says Werz, and unlike boswellic acids, they can increase the risk of stomach ulcers and can harm the kidneys. In the current study, the researchers compared the anti-inflammatory effects of the resin of several different kinds of frankincense. There are more than ten Boswellia species in the world. The most well-known and widely-used one is the Boswellia serrata from Northern and central India. However says Professor Werz of his study, “We were able to show that the resin of the Boswellia papyrifera is ten times more potent”. This species mostly occurs in the Northeast of Africa (Ethiopia, Somalia) and on the Arabian Peninsula (Yemen, Oman). Frankincense is a mainstay of Ayurvedic medicine and a recent raft of studies has shown explored its healing potential. Taken orally, capsules containing Boswellia frereana have been shown to ease painful arthritis . Animal studies and pilot clinical trials in humans support the potential of Boswellia serrata gum resin extract (BSE) for the treatment of a variety of inflammatory diseases like inflammatory bowel disease, rheumatoid arthritis, osteoarthritis and asthma . Boswellia serrata extract also exhibits anti-bacterial and anti-fungal activities. There is also laboratory evidence suggesting that Boswellia carteri possesses anti-cancer properties. The research into the medicinal qualities of frankincense throws up several questions about the sustainable production of the tree, however. “Boswellic acids exclusively occur in the resin of Boswellia trees and are very difficult to produce synthetically,“ Professor Werz points out. 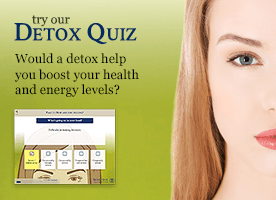 Therefore these trees are the only source of these promising active ingredients. However several species of Boswellia trees, including Boswellia papyrifera which grows in Northern Ethiopia, are already endangered. Ethiopia is, in fact, worldwide the main producer of frankincense and myrrh, and exports large quantities of gum arabic. In a study of frankincense production in 2011 the researchers noted that extraction of the resin does not threaten the survival of the trees in any way. While sustainable gum/resin production could significantly contribute towards sustainable development of what are often marginal dry lands, it is years of improper land use (overgrazing, over-harvesting of gum/resins and wood) threatens the sustainability of the frankincense tree and as a result of that also the long-term gum/resin production. In addition infestation by the longhorn beetle is threatening the planting of new trees. In some impoverished countries the trees are simply being used as heating fuel. “Without sustained protection not only plant species are endangered but at the same time medicine loses promising active ingredients,” Professor Werz warns. Note: Neal’s Yard Remedies sources its wildcrafted frankincense from Somalia, from producers that have been tending and harvesting the trees by hand for generations. 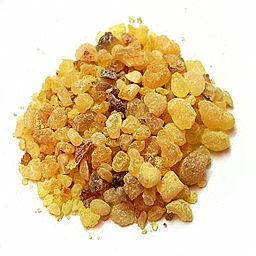 The species of frankincense we use – Boswellia carterii – is not endangered. Boswellia carterii is the oil traditionally used in aromatherapy and this genus only grows in Somalia. In addition, in Somaliland frankincense production does not compete with agricultural production in the way it does in Northern Ethiopia and elsewhere in Africa. It also provides an income to families in a country with few other natural resources and thus few other opportunities to participate in the global marketplace. Our Somali frankincense is also the world’s first FairWild certified frankincense. Got pain? Try a massage!